Today I am participating in Mamarazzi's weekly happy list meme. She actually does these on Saturday but told me I could do it today and I figured this was a good warm up for my Ten Things to Smile About Meme that I do monthly. I usually do that meme on the last Tuesday of the month-but I am going to switch it up a bit this month because of how the days fall and it will be on the Thursday the 31st. Despite tears, blood, poop, a mysterious chair liquid, pee and a trip to the ER (one of their kids not my own)- I had a great time visiting with our friends from out of town-and enjoyed them being here and did not give up my bed. BYU killing Gonzaga (89-67) during the NCAA tournament and now being part of the sweet 16! They got Jimmered! I'm not sure why your post is showing up today, but it was fun to read and I LOVED watching that game. I don't usually watch, but this one was FUN! If we get the next one, I'll be watching that too. Alex is the best, I think so too! And yay for Lucas! Hmm, blogger must be weird right now because your date says tomorrow. At any rate, I am now desperately wanting blond oreos now. I have never had them before. Can you believe that? And I am glad that your friends visiting was mostly fun and not overly traumatic. :) Yay for keeping your own bed! Good job Lucas! And I am sure Alex was the best one there, no doubt! I haven't tried the Double Stuffs....I'll have to fix that! Those cookies make my stomach hurt! I have eating so poorly since being down with Levi! Okay - those cookies are YUM! I don't blame ya! And of course Alex was the best ballerina! Anyone that thinks otherwise is out of it! 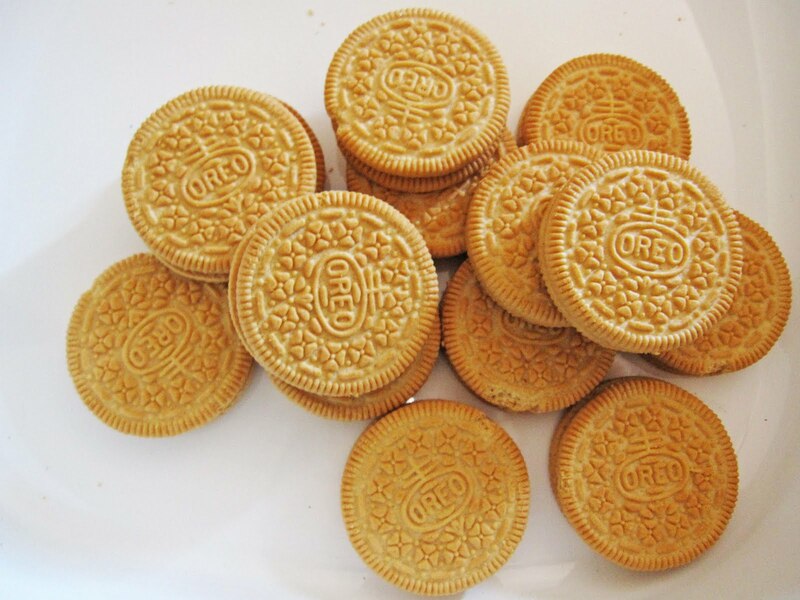 i have never had a golden oreao before tho....i may need to try them. I'm still in love with the regular oreos. We can't have those things in the house. You are so right about those Golden Oreos. I love them! I believe you about Alex. I know she's a star! My house being back to normal makes my happy list! We had company for several days and even though I LOVE company, my house looked like a tornado had hit it so getting it back in order makes me happy. I'm a sucker for Oreo's too. They are NOT allowed in my house right now! Alex was by far the best little ballerina there. She absolutely stole the show! Since I don't follow sports, I had no idea what people were talking about when they started referring to others getting "jimmered." Haven't seen the man in action but I think it's hilarious! Sometimes I buy oreos and hide them to eat during naptime. Okay, so is that one guy still on the BYU team then? I have been such a Ten Things slacker. I've had a hard time smiling with all the sickness we've had. But Spring Break is really helping and I have been keeping track of my smiles!! Oooh, they make those in a double stuff???? Yum! On my happy list this week: the weather! It's sundress and flip flop weather! Dang it jimmer. Tonight wasn't pretty. And we could have made it to the final four against butler. Sigh.